When the old Killarney Musical Society disbanded in 1963 after their production of " The Desert Song" it heraided a dearth in musical theatre in the town for a number of years, although "Tops of The Town" filled the gap for a while. 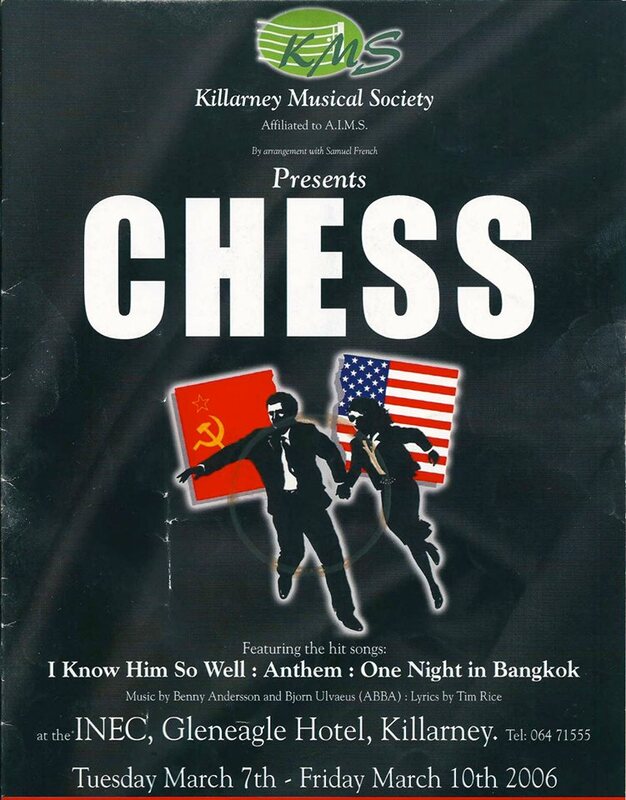 It was not until 1985 when a local group of music lovers got together that the Killarney Musical Society was revived. The first show was "H.M.S Pinafore" performed in The Arus Padraig which became our home for the next fifteen years. In 2001 the society was honoured with an invitation from the late Maurice O Donoghue to perform at the INEC, which has been our base since. Over the following years the various casts, all amateurs have displayed wonderful versatility in their performances. They have sung, waltzed, tapped and rock and rolled from the music of Gilbert and Sullivan and Rodger and Hammerstein to Cole Porter. The aims of the Society are to promote an understanding and appreciation of Musical Theatre, in the form of Music, Song and Dance, and to offer an interesting and enjoyable social activity to its members. We have achieved this over the past number of years and look forward to the next with great anticipation.